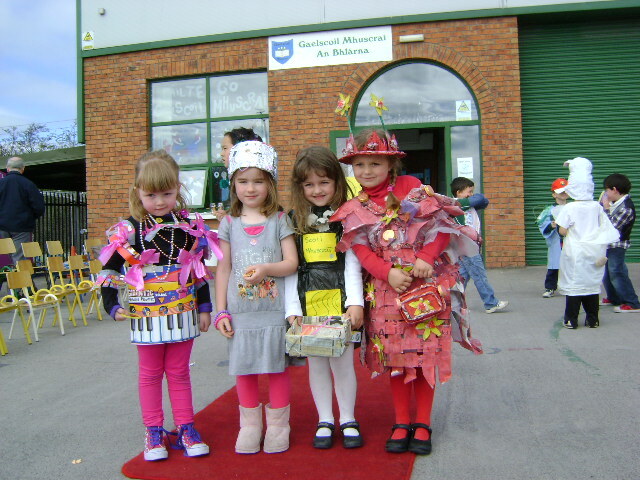 Is scoil glas í Gaelscoil Mhuscraí. 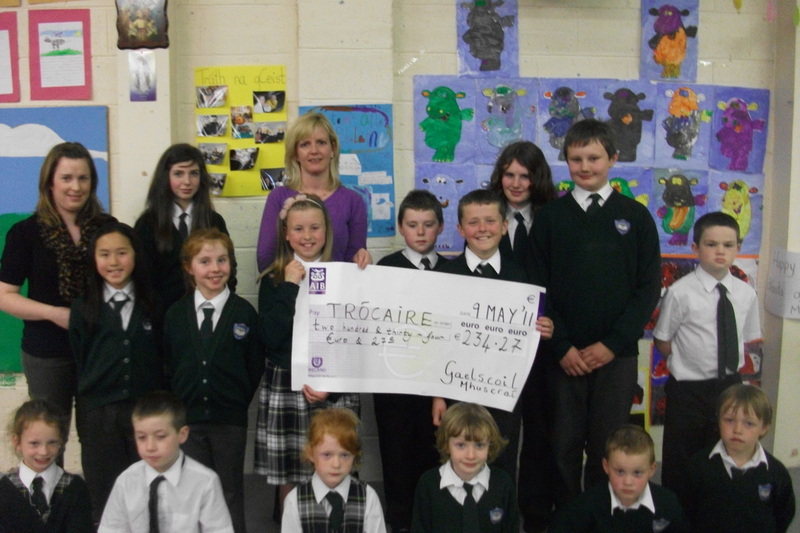 Bhaineamar amach ár gcéad brat i 2010 mar thoradh ar an ngearradh siar a deineadh ar an mbruscar agus fuíoll sa scoil. 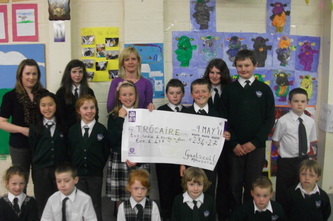 Bhíomar roghnaithe i 2010/2011 chun a bheith páirteach sa scéim píolóta 'Saorántacht Domhanda agus Eorpach'. 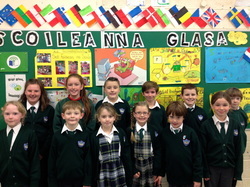 D'oibrigh an Coiste Glas go dian dícheallach d'fhonn ár dtarna bhrat a bhaint amach i 2012. 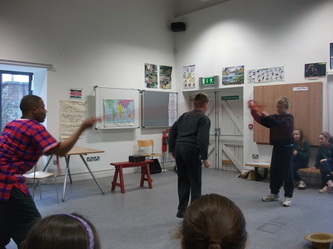 D'fhreastailíodar ar an-chuid cúrsaí chun saineolas a fháil ar an dtéama nua seo. 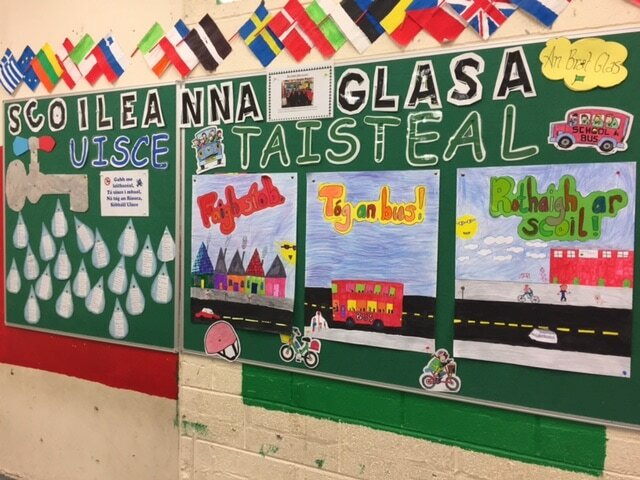 Táimíd an-bhródúil as ár ról i bhfoirmiú an téama úr-nua seo. 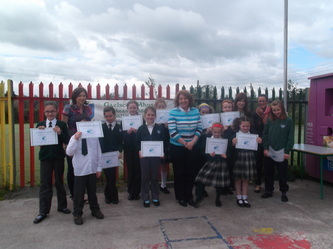 Fuaireamar ár dtriú Bhrat Glas i 2014 de dheasca ár n-obair ar an dtéama Fuinneamh. Bhaineamar amach ár gceathrú Bhrat Glas do chaomhnú uisce i 2016. 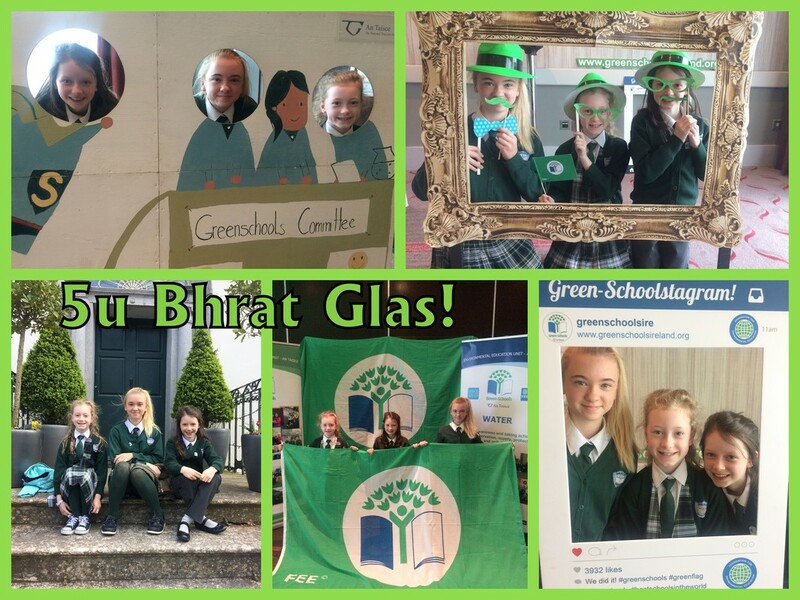 BHíomar ag tnúth le bheith ag dul i ngleic leis an obair dár gcúigiú bhrat i rith na scoilbhlianta 2016-2018 agus bronnadh an brat seo orainn i mí Bealtaine 2018. Gaelscoil Mhuscraí is a Green-School. 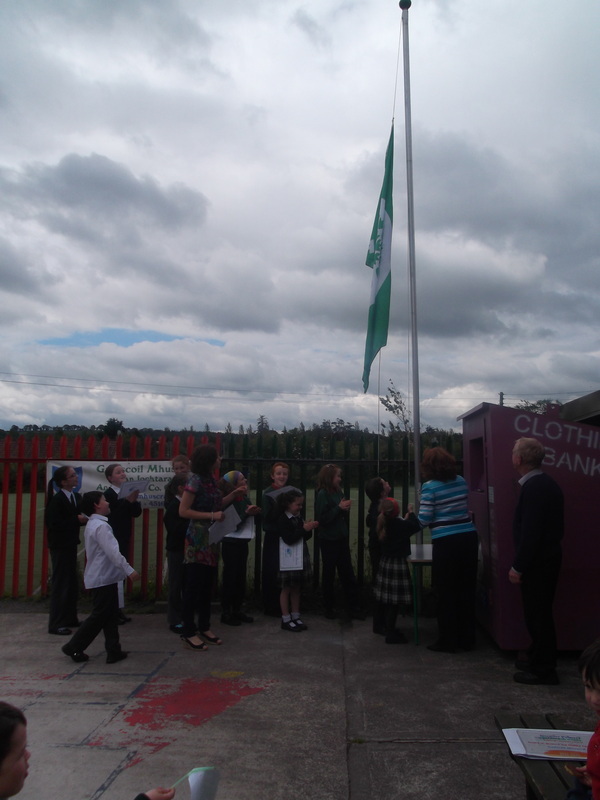 We achieved our first flag in litter and waste in 2010, resulting in a more environmentally-minded school. 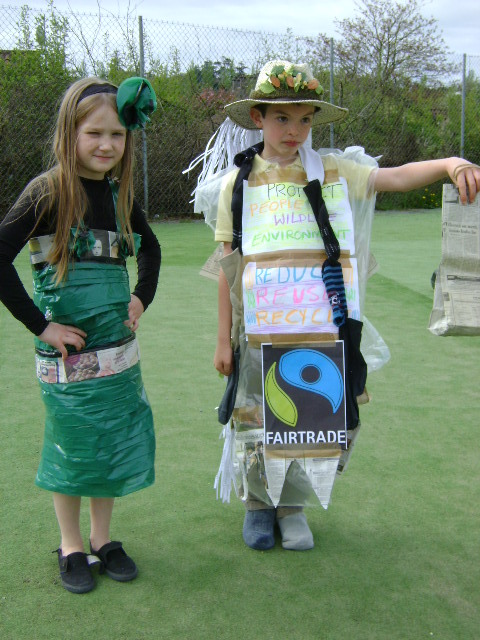 In the 2010/2011 academic year we were chosen to participate in a pilot Green-School theme 'European and Global Citizenship' . 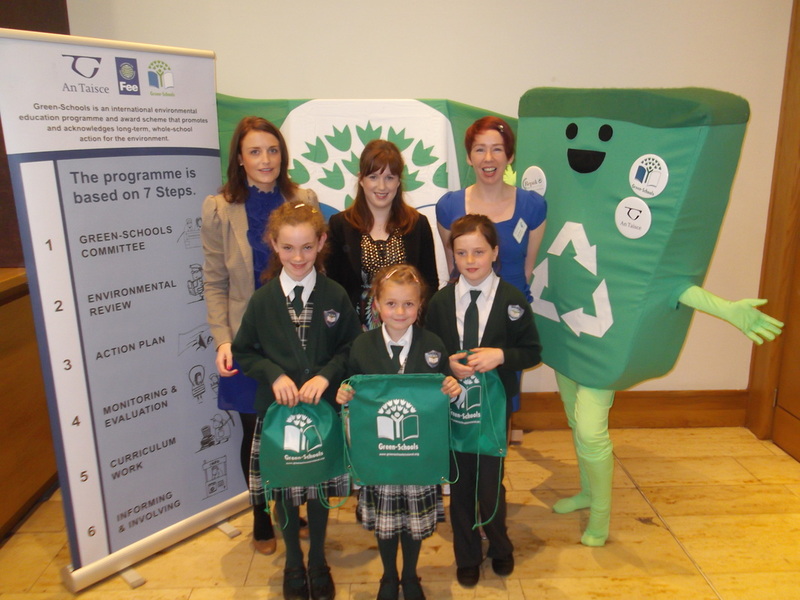 Our Green-Schools' Committee worked hard to promote each aspect of this new theme. They held action-days, carried out project-work on the EU and attended seminars in order to gain a full perspective of what citizenship on a European and global scale entails. 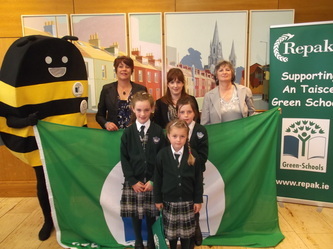 We are very proud of our role in the formation of this brand new Green Schools theme and we were awarded our second green flag in June 2012. 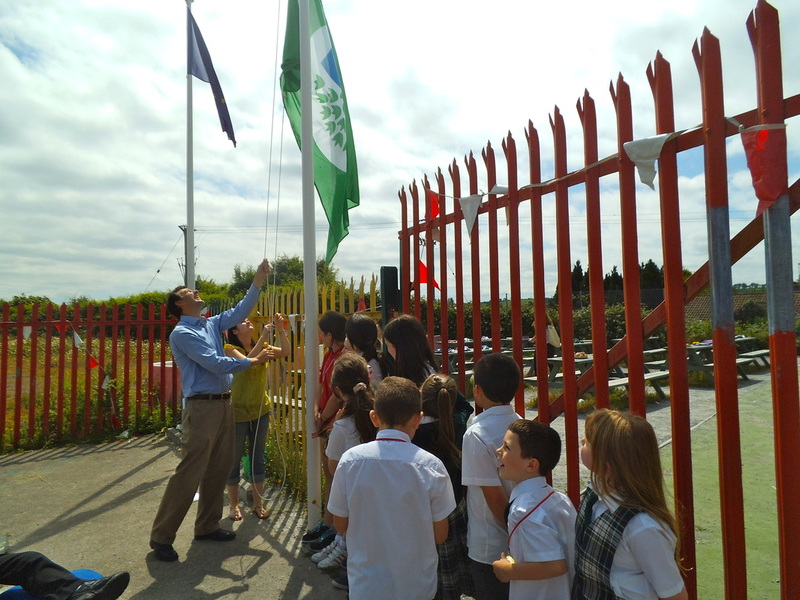 During 2012 - 2014 we began working on our third Green Flag on the Energy theme and were delighted to achieve this flag in June 2014. 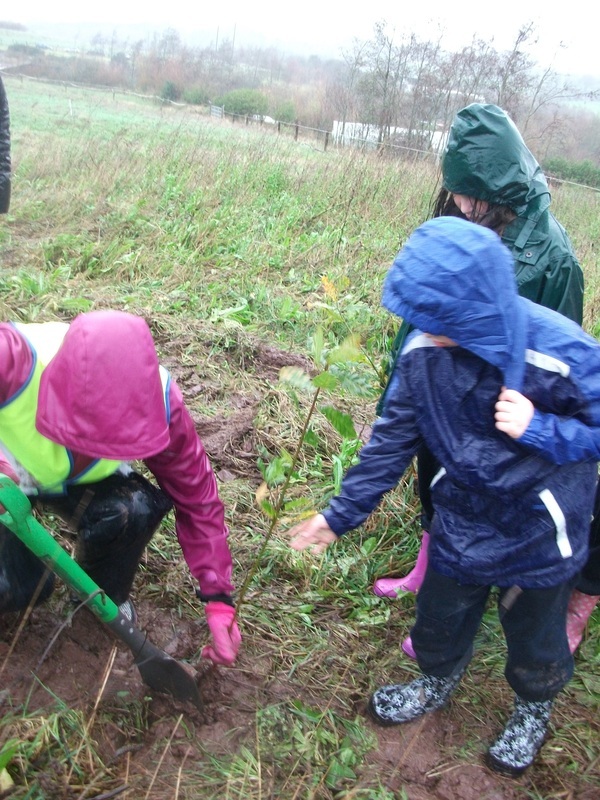 We were awarded our fourth Green Flag for water conservation in 2016. 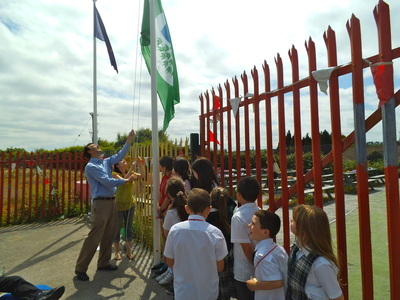 We completed work on our fifth green flag on the theme of travel in 2018 and were awarded our 5th Green Flag as a result. 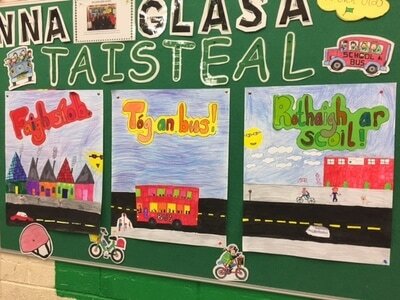 Tháinig oifigeach ó An Taisce agus na Scoileanna Glasa chuig na scoil i mí Márta 2017 chun labhairt linn faonár dul chun cinn dár gcúigiú bhrat do thaisteal. 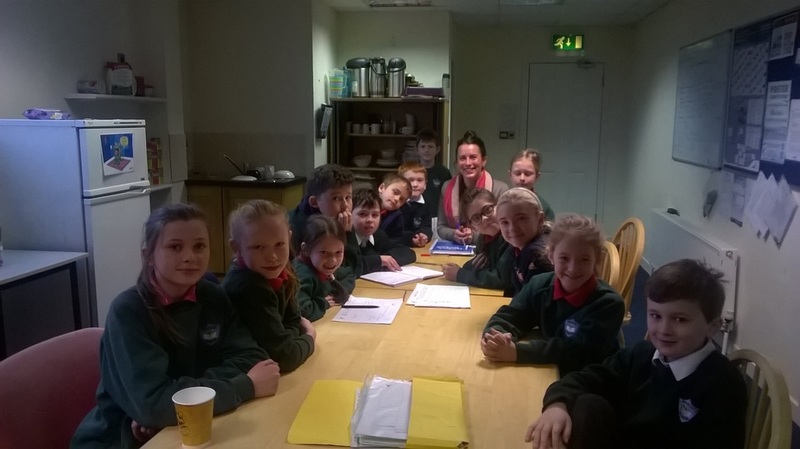 Chonaic sí an bórd noitíse álainn atá le fiescint i halla na scoile freisin. 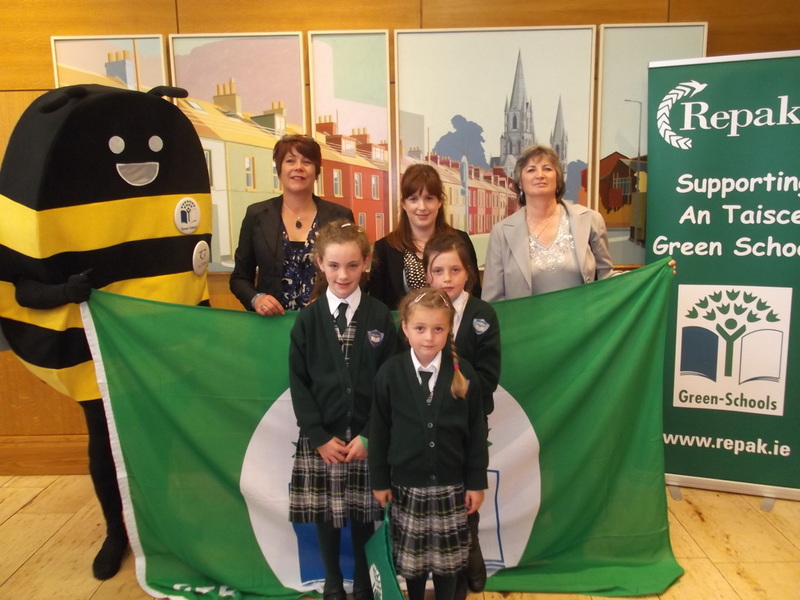 We welcomed Lisa O'Grady to the school in March 2017 to speak to the students about our progress in our quest for a fifth green flag in travel. 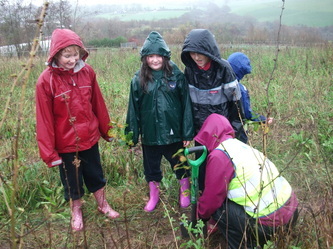 Lisa works with An Taisce. 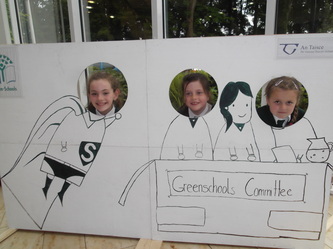 The Green School committee showed her their beautiful display on travel in the school hall, also. Tháinig oifigeach taistil Lisa O'Grady ar cuairt chugainn dár Seachtain Ghníomhach chun céardlann rothar a chuir i mbun. Mhúin sí dona paistí faoi shábhailteacht ar rothar agus conas aire ceart a thabhairt dod'rothar. 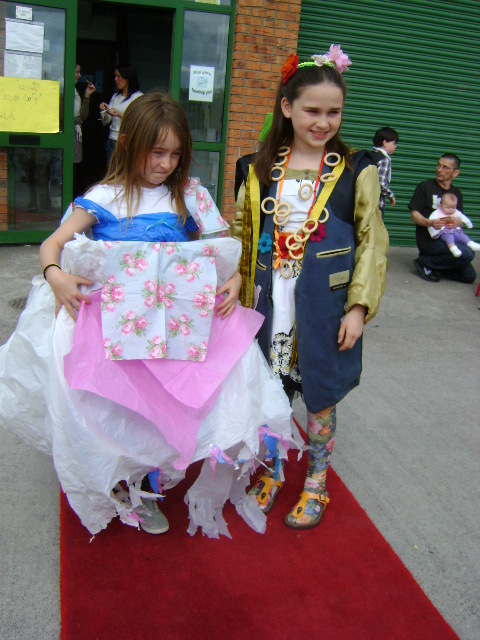 Bhí rothar ag an-chuid páistí. 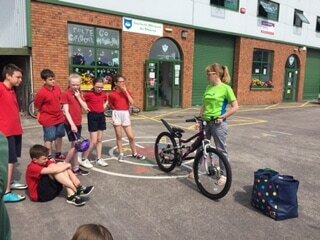 Lisa O'Grady, Green School travel safety officer, visited the school during our Active School Week in June 2017 to carry out a bicycle workshop. 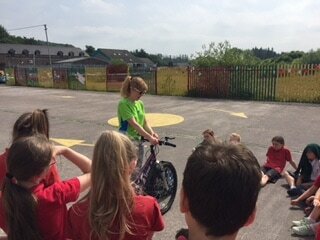 She taught each class about bicycle safety and how to take proper care of your bike. 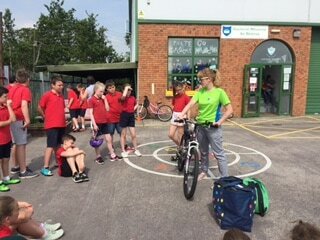 Many pupils brought their bike in for the day. Tháinig cuairteoir chuig na scoile chun cabhrú leis an gCoiste Glas agus iad ag treabhadh ar aghaidh chun ár gciúgiú bhrat a fhail sa taisteal. Deineadh suirbhé ar thaisteal chuig na scoile ar maidin agus beimid ag súil le feabhas sa suirbhé seo i gceann dhá bhliain eile nuair a thagann an cuairteoir arís! 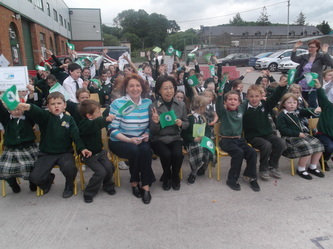 Our Green School Committee received a visitor to help us in our quest for our fifth Green Flag for travel. 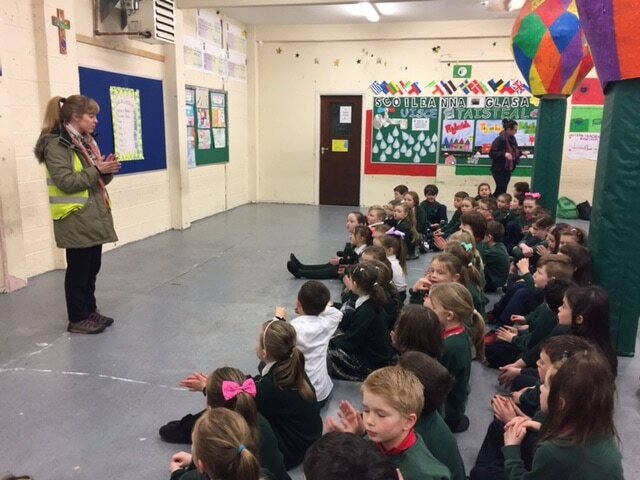 They conducted a survey on travel in the school and we hope to improve in this survey when we apply for the flag in 2018. Go n-éirí linn! 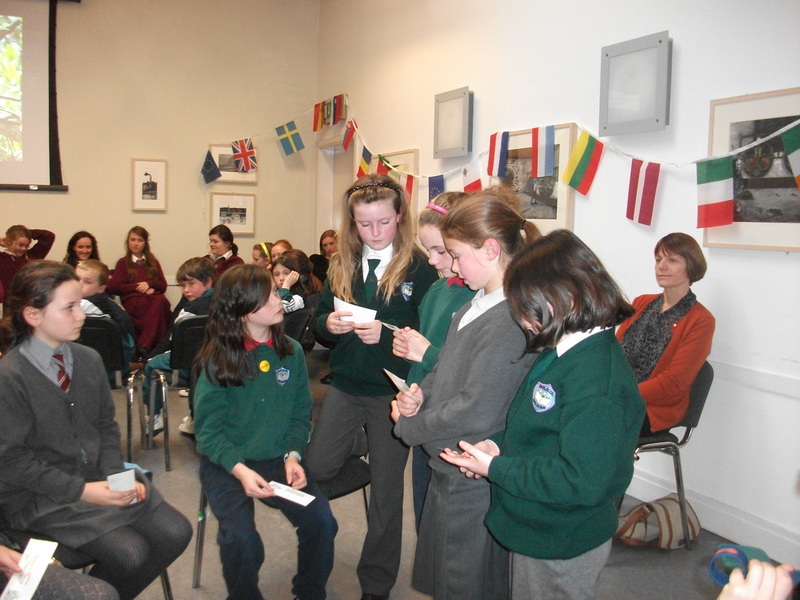 D'árdaíomar ár dtríú Bhrat Glas ar an Aoine i dteannta an Comhairleoir Aindrias O'Muineacháin. 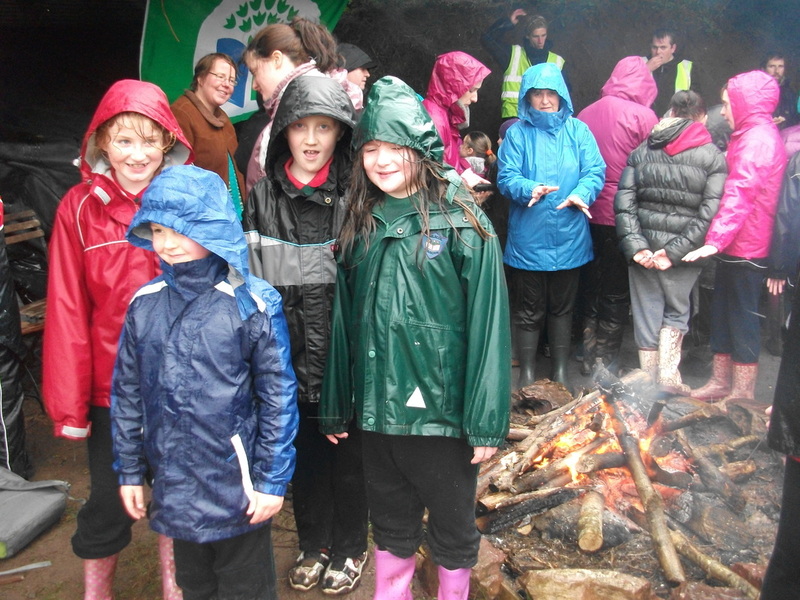 Seo é an brat le haghaidh fuinneamh. 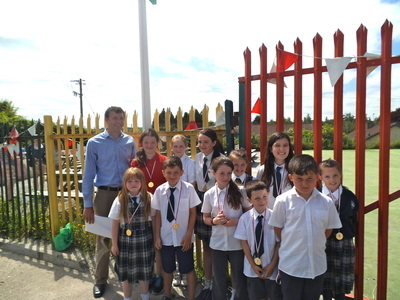 Bhí feasta breá againn i ndiaidh mar cheiliúradh ar an éacht seo. 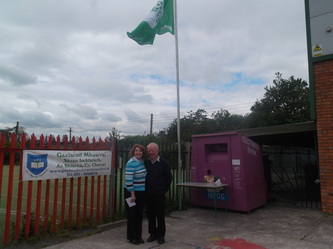 We raised our third Green Flag on Friday the 20th June. Local Councillor Aindrias O'Muineacháin helped the Green School Committee raise the flag. 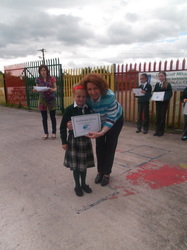 This flag was awarded to us for our work on saving energy. We had an end-of-year party afterwards in celebration of our achievements. 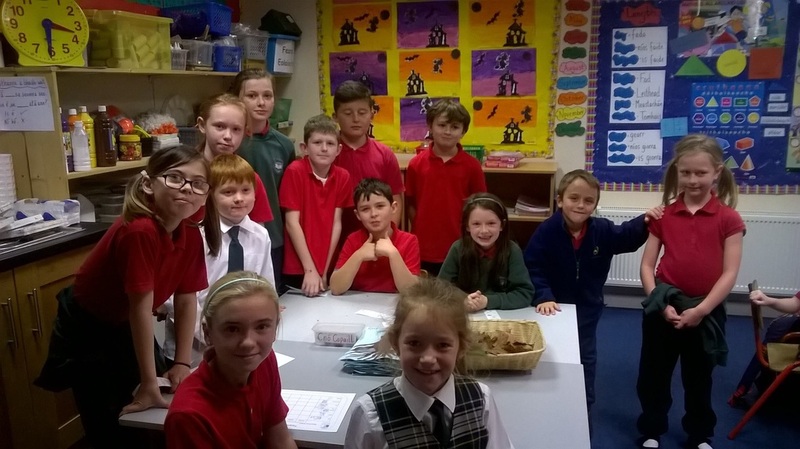 D'fhreastail ceathrar ón nCoiste Glas ar shearmanas in óstán Silver Springs chun ár dtarna bhrat don téama nua 'Saoránacht Eorpa agus Domhanda' a bhailiú. 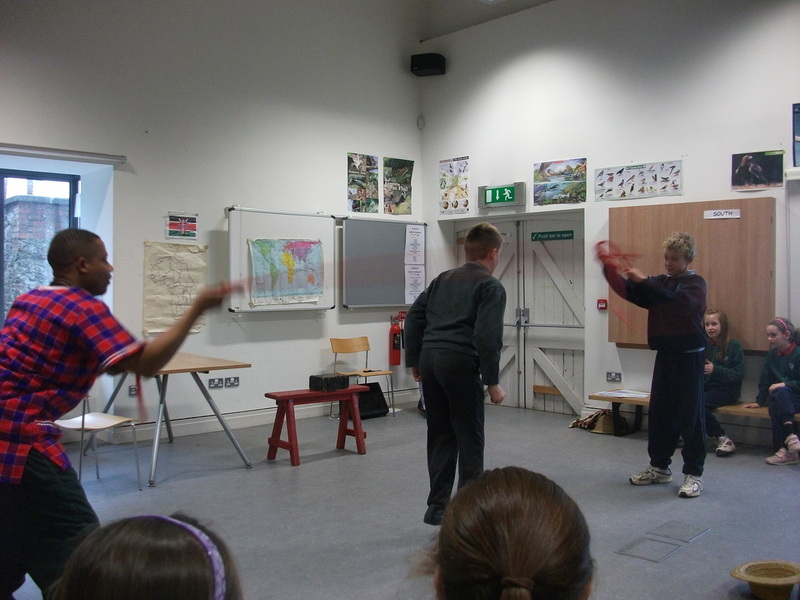 Ócáid fíor-thaitneamhach a bhí ann dóibh agus dheineamar ceiliúradh scoile mór i mí an Mheithimh, i dteannta leis an Aire Kathleen Uí Loingsigh, in onóir don obair ar fad a deineadh chun an brat seo a ghnóthú. 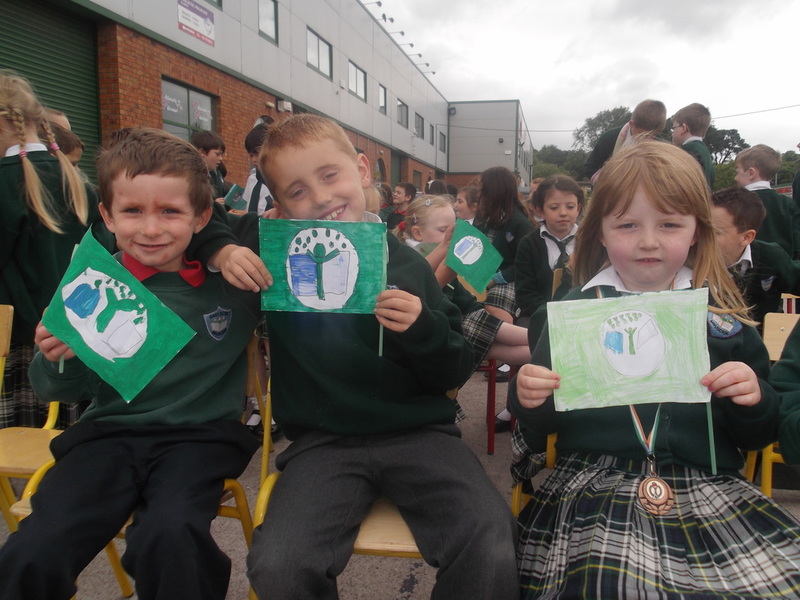 Féach ar na pictiúiri thíos! Four members of the Green Schools Committee attended a ceremony in the Silver-Springs hotel in May 2012 to receive our award of a second green flag. They really enjoyed this event and we celebrated our second flag-raising, with the rest of the school and our special guest Kathleen Lynch TD, in June after all our hard work earning the Citizenship-themed flag. See our celebrations below. 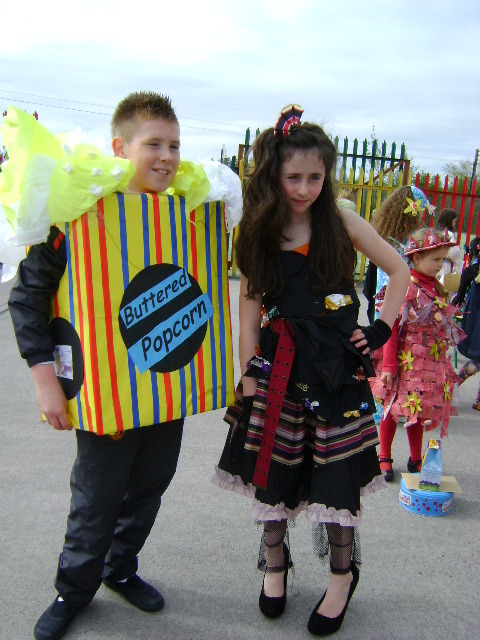 Uisce Uisce i ngach áit! 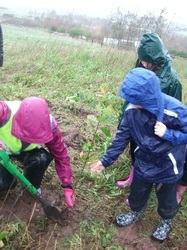 Water water everywhere! 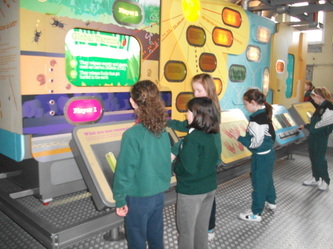 D'fhoghlaimíomar faoin ról atá ag uisce inár saol. Bhí an scoil ag obair ar chaomhnú uisce rud a bhí ceangailte lenár dtéama ar shaorántacht domhanda, a bhí mar chuid den obair dár dtarna bhrat Scoileanna Glasa. Chuamar do dtí ionad uisce coireála in Inniscarra chun féachaint ar chonas a ghlanann an chomhairle áitiúil an t-uisce a théann chuig ár scoil. Freisin chuamar go dtí damba leictreachis an ESB chun féachaint ar ghiniúnit hidrea-leictreachas. Bhain gach duine againn sár-taitneamh as ár dturas agus fuaireamar alán eolais chun a úsáid dár n-obair ar an scéim Scoileanna Glasa. 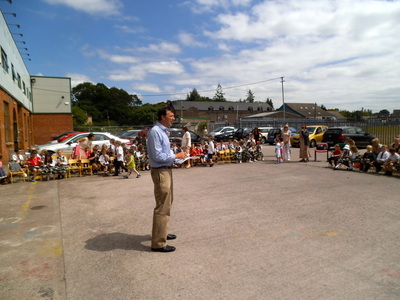 Féach thíos i gcomhair na pictiúir. We studied the role water plays in our global society as part of our work on our second green flag. We worked hard to conserve water in our school. 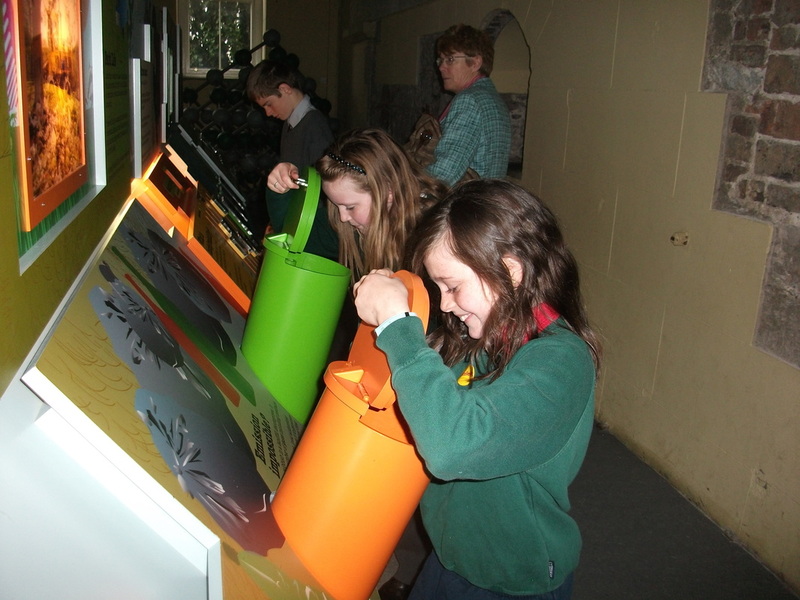 We visited Inniscarra water treatment facility to examine how our water at school and at home is treated and cleaned before we can use it. We paid a visit to the nearby ESB dam to study the use of water in generating electricity. 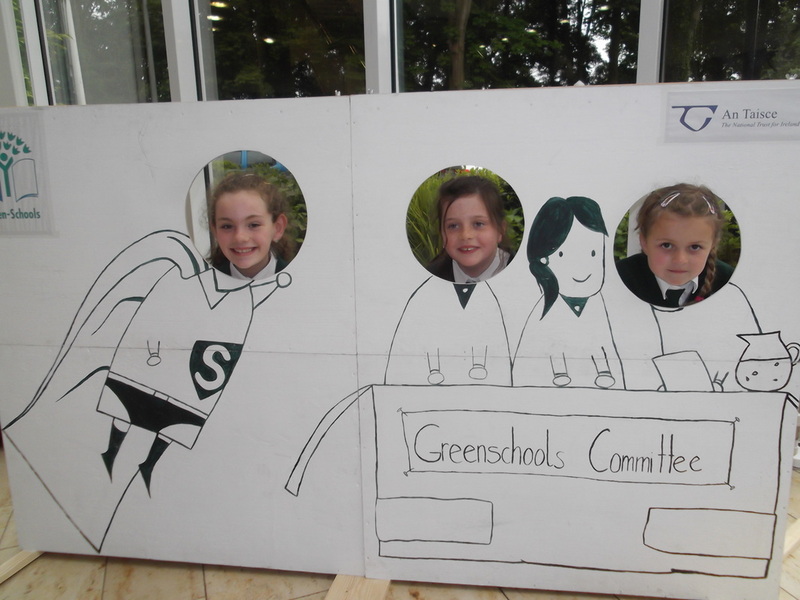 This was a very worthwhile trip in our Citizenship-themed Green-School's project and we learned a great deal! Take a look at our slideshow of pictures below.